1943: 1x4 1.1" and 2x1 20mm guns replaced with 2x2 40mm Bofors AA guns. 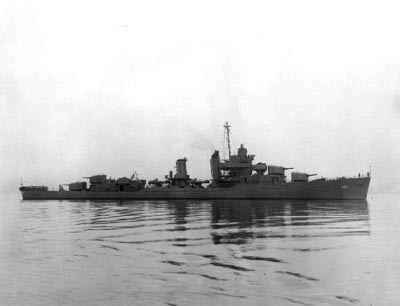 1944: One twin 5" turret removed. Light antiaircraft upgraded to 1x4, 2x2 40mm guns and 6x1 20mm guns. 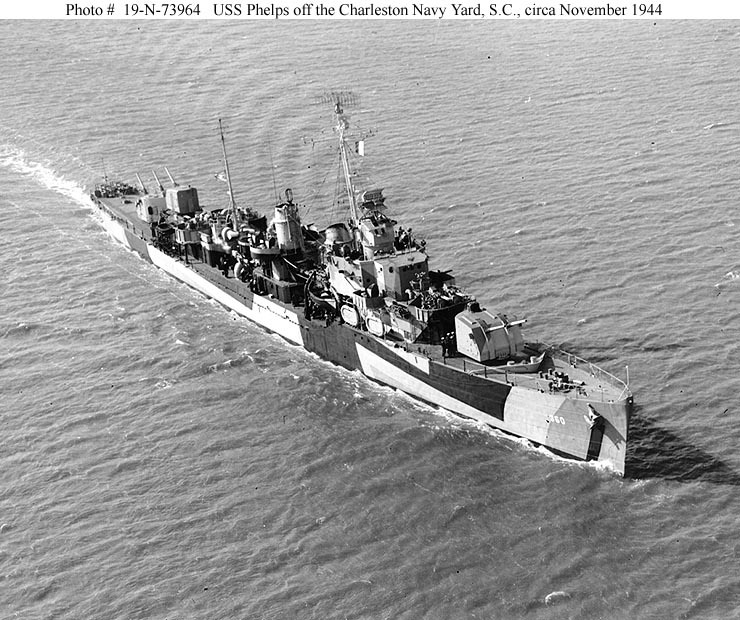 Late 1944: Twin low-angle 5" turrets replaced with 2x1, 1x1 high-angle 5" turrets. Improved directors and Mark 12/22 radar installed. 1945: Both torpedo banks removed. Light antiaircraft increased to 3x4, 2x2 40mm guns and 2x2 20mm guns with improved directors. 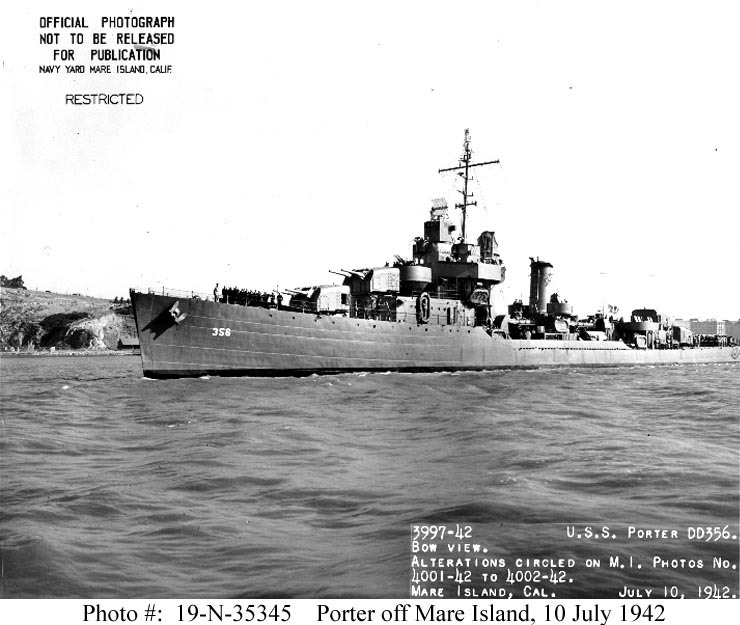 The U.S. Navy had proposed building destroyer flotilla leaders as early as 1917, but Congress had refused funding for the ships, and it was not until 1927 that the proposal was revived. A preliminary design was drafted by January 1932 for a fast, powerful destroyer with some splinter protection and armed with the then-new 5"/38 dual-purpose gun. The displacement was fixed at 1850 tons, the treaty limit. Authorization for construction of eight ships of the Porter class was given in 1933 and they were completed in 1936-1937. 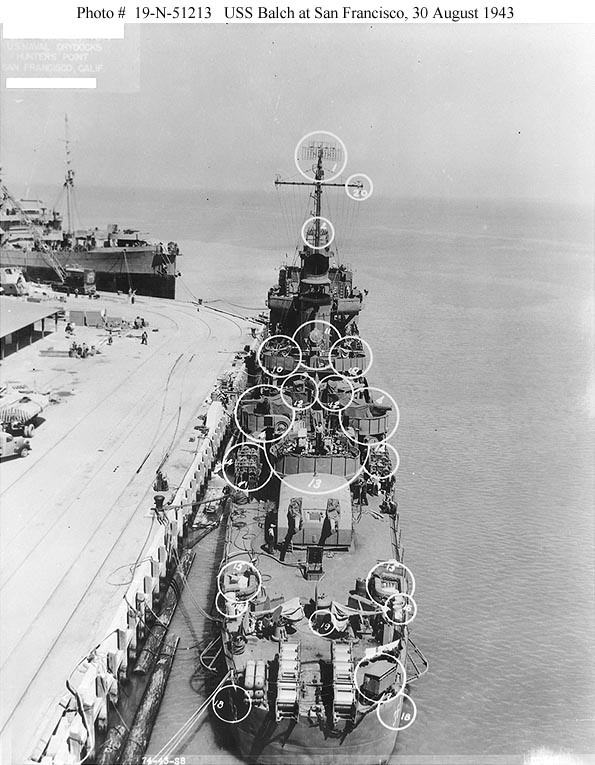 Unfortunately, the final design mounted the main guns in twin turrets with only a 30° maximum elevation, making them useless against aircraft, though they had superior fire control against surface targets. These turrets were finally replaced with high-angle turrets in 1944. Extensive modification was required to reduce top weight enough to permit increased to the light antiaircraft battery, though most of this work was completed before war broke out.